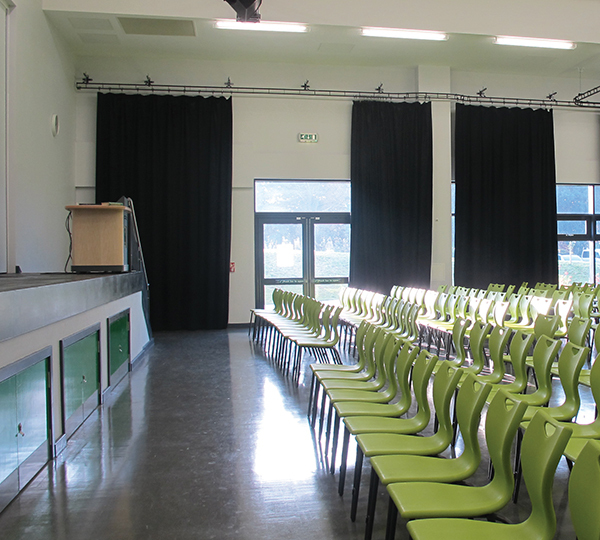 Acoustic Drapes are usually installed as perimeter curtains and used to mask acoustically reflective surfaces in a variety of venues, from small black-box theatres to exhibition centres and arenas. Acoustic Drapes are a popular way of altering the acoustics of a space due to their flexibility and practicality, they also provide a visual feature as well as effective sound dampening. Additionally, dress drapes can be lined with a more acoustically absorbent fabric such as Wool Serge to improve their anechoic qualities. In larger venues where access is restricted or difficult to access, our Acoustic Drapes can be deployed on motorised track systems designed and installed by our team of engineers to ensure the acoustics of your venue never become an issue.